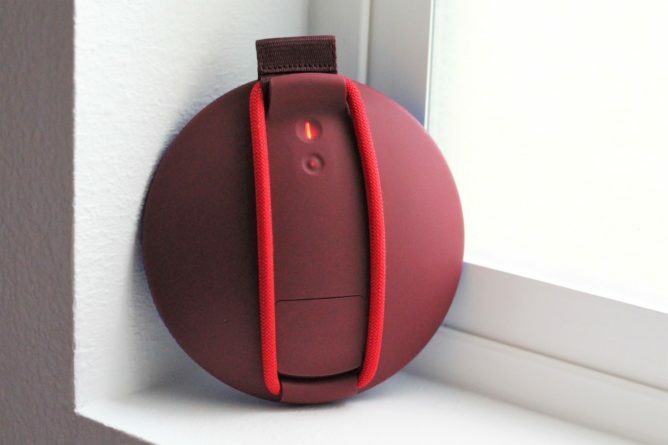 The UE ROLL was one of the most interesting new Bluetooth speakers launched last year. 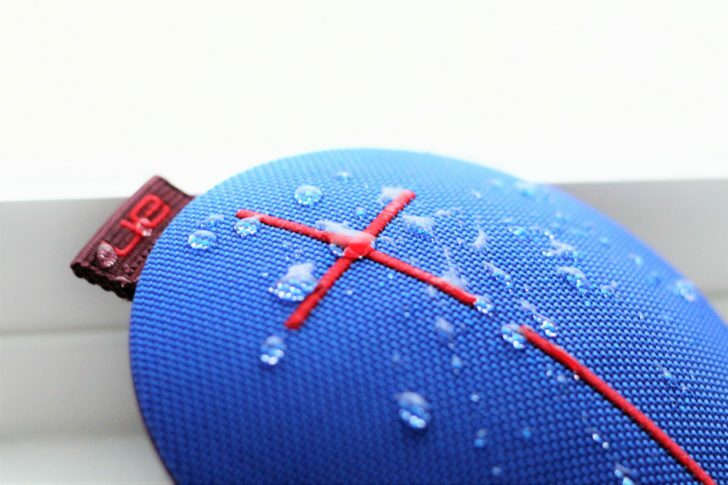 With a waterproof (IPX7), disc-shaped body, and an attached bungee cord, the ROLL was marketed as a perfect companion for any adventure, rain or shine. Cam was a big fan of the device and had almost no complaints in his review. Ultimate Ears is back at it again this year with an update to the original ROLL. It's called the UE ROLL 2 ($99), and as you might expect, it's even better. If you have seen the original UE ROLL, then you have pretty much seen the ROLL 2. They are physically identical in size, shape, and weight. 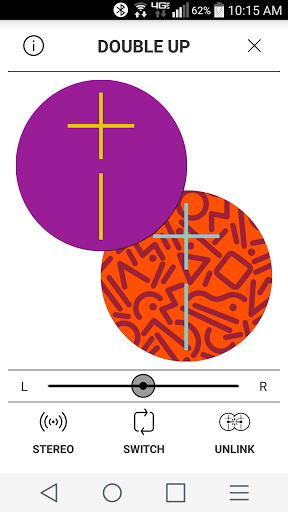 Even the available color combinations are (mostly) the same. Up top you have a plus and minus symbol buttons that control the volume. 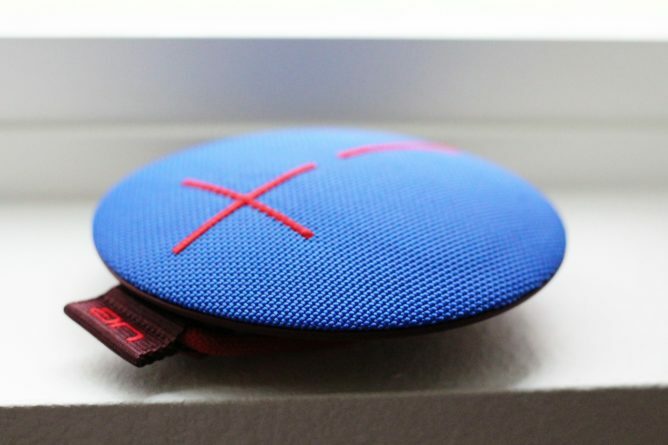 On the back there's the power and Bluetooth pairing button and you'll also find a small flap that covers the MicroUSB charging port and headphone jack. The ports themselves are waterproof, but the flap keeps sand and other gunk from fouling them up, which is great. Lastly, a bungee cord loop stretches across the rear housing, semi-permanently secured on one side and held in place by a lip on the other. While the ROLL 2 looks the same as the first gen speaker, there are a couple of improvements under the hood. First, it now has a Bluetooth range of up to 100 feet instead of 65. I didn't test specific distances, but in my home the ROLL 2 exhibited great range. Being a room, or even a floor, away from my phone was no issue for the little speaker – it played on with no hiccups or stutters wherever I was at. The range is truly impressive. The second improvement the ROLL 2 boasts is a 15% increase in volume. I don't have an original ROLL to compare UE's new offering against, but I can say that the ROLL 2 puts out an impressive amount of sound for such a compact device. We'll discuss the sound profile in greater depth a little later on. 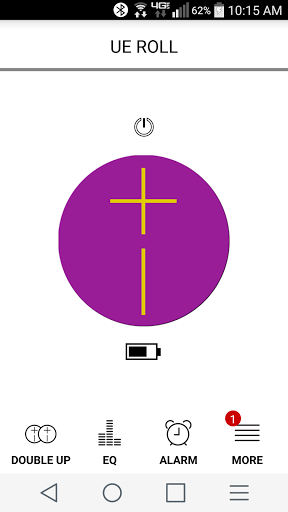 Battery life on the ROLL 2 remains the same as the original device. It's rated at 9 hours, but at max volume you're not likely to see that sort of longevity. The battery can be fully recharged in 5.5 hours. The original ROLL was a great device, and if it ain't broke... well, you know the rest. The only change I wish UE had made is the addition of media playback controls, or at least a function that would allow the volume buttons to double as media controls. Since the ROLL 2 is waterproof, it's an ideal companion for a day at the lake, or to use while on an outdoor adventure, and it would be nice to be able to change music tracks without having to fumble with my phone. I was pretty amazed by the quality and quantity of sound that this little guy produces. 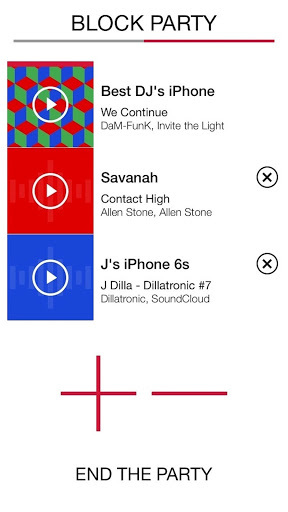 Music plays rich and full, at low and high volume, with very minimal distortion, even when you crank up the noise. Cam mentioned distortion was an issue at higher volumes with last year's ROLL, so it's good to see an improvement in the ROLL 2, especially since it's 15 percent louder. The sound profile favors the treble range with just a bit less bass than I would like. The bass of the ROLL 2 is not nearly as profound as its big brother, the UE BOOM 2, or its highly regarded competitor, the JBL Flip 3. 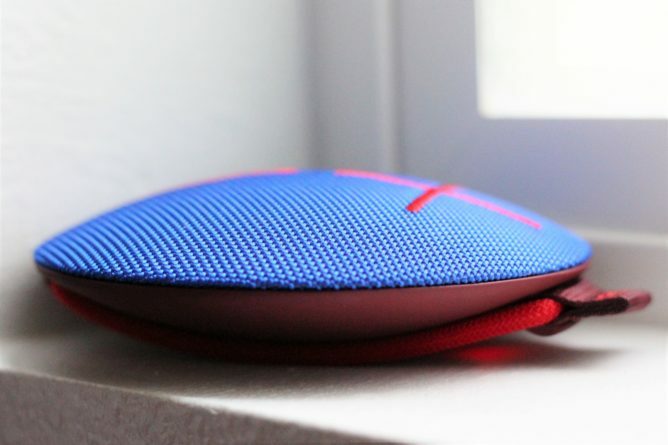 However, the speaker is quite a bit smaller and weighs less than half as much as either, so that's to be expected. 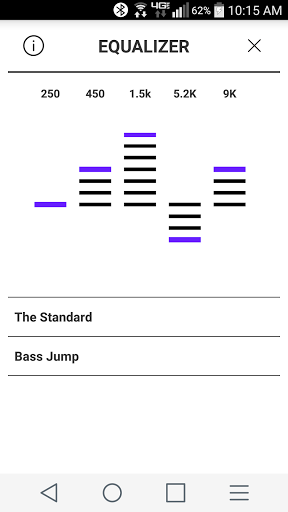 The bass that is present is tight and controlled with sufficient punch for vocal and acoustic tracks, but bass hungry EDM, dance, and rap songs sound just a touch under-powered at higher volumes to my ears, especially after listening to the same song on one of the previously mentioned speakers. Overall though, the ROLL 2 sounds great. The domed top of the speaker radiates sound outward 360 degrees when the ROLL 2 is placed on it's back, easily providing enough audio from its one 2" driver and two 3/4" tweeters to fill a small-medium sized room. It also can be doubled up with another UE ROLL 2, or any other current gen UE speaker, with the help of the UE ROLL app, for stereo sound and increased volume. Speaking of the app, the ROLL 2 will use the same app as the previous generation, it will be updated shortly to be compatible with the new device. 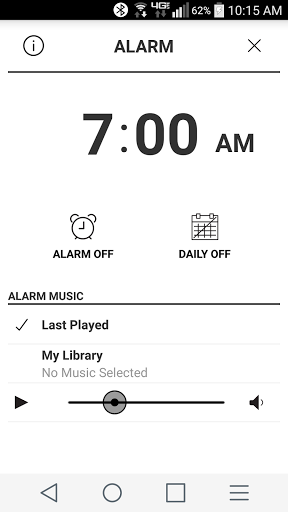 With the app, users can fine tune the audio equalizer, set an alarm, remotely turn on the device, or simultaneously connect up to three smartphones to the speaker to share music together. All good stuff. UE has once again created an excellent product in the ROLL 2. Striking looks, a compact and durable body, and excellent sound quality make it one of the best $99 speakers on the market. However, the original ROLL is 80 percent as good, and can be found for as little as half the price from time to time, so it may be the better buy (while it's still available) if you are looking for a bargain. The bottom line is that UE has made another excellent product that is very easy for me to recommend. The ROLL 2 is now available for $99.99 and comes in 6 color combinations – Habañero, Tropical Anime, Volcano, Atmosphere, Sugarplum, and Reef. 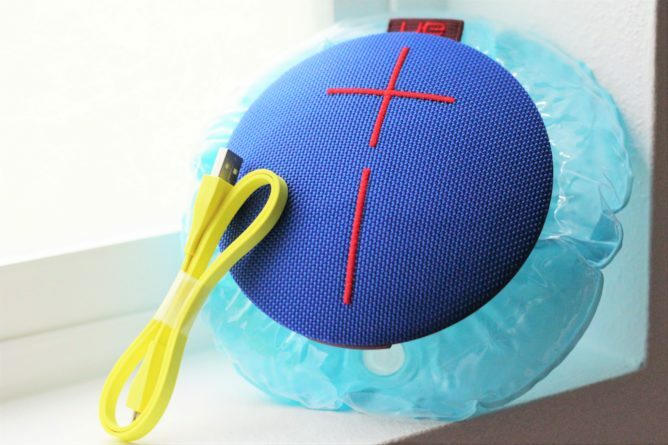 A MicroUSB charging cable and attachable pool float are included with the speaker and it is covered by a two year warranty. Grab one for yourself using the link below.